The acting US representative to the UN Jonathan Cohen accused Iran of intensifying its efforts to develop ballistic missile technology, while other members of the Security Council note that there has been no breach of the UN resolution. 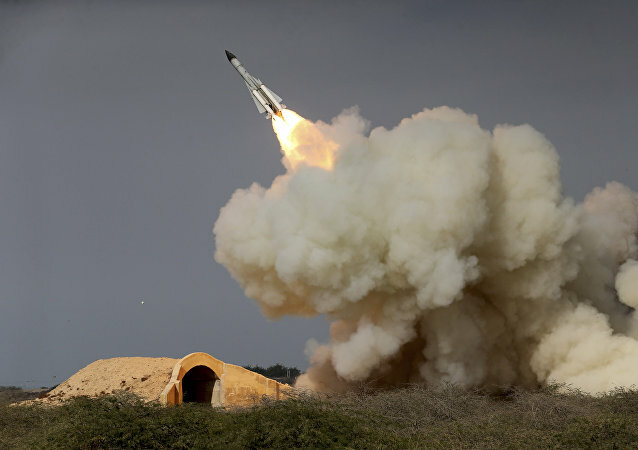 Any efforts by foreign countries to stop the Islamic Revolutionary Guard Corps from testing missiles will be futile as long as Iran exists, a senior IRGC official said Friday. Earlier this year, Saudi Foreign Minister Adel al-Jubeir stated that the kingdom would seek to acquire nuclear capability if Iran decided to renew its nuclear weapons programme. 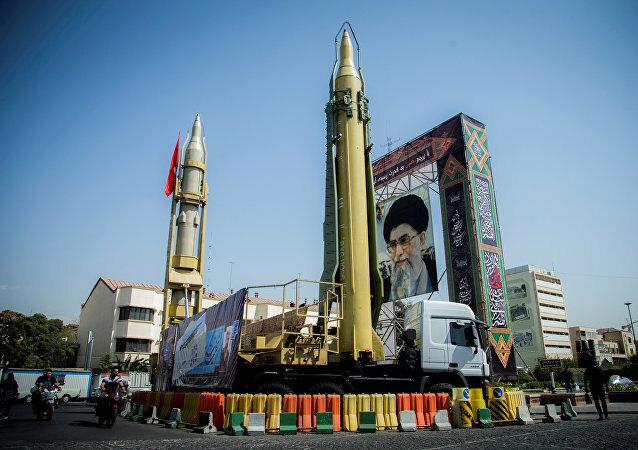 Iran's missile program has been heavily criticized by the US and is being used as an excuse to thwart the nuclear deal stuck with the country, because it "compromises the security of the Jewish state." A Chinese military newspaper has published new photos showcasing its short- and medium-range missiles, the South China Morning Post reported Tuesday. Tehran has responded to Paris’ idea of adding the Iranian missile program to the 2015 nuclear deal. The Islamic Republic reiterated its stance that the issue of its missile program is beyond debate. Cutting ties with Iran over the nuclear issue would make it a new North Korea, French President Macron stated in an interview with Time magazine. He later urged Tehran to hold talks on its missile program, which Iran firmly denied. 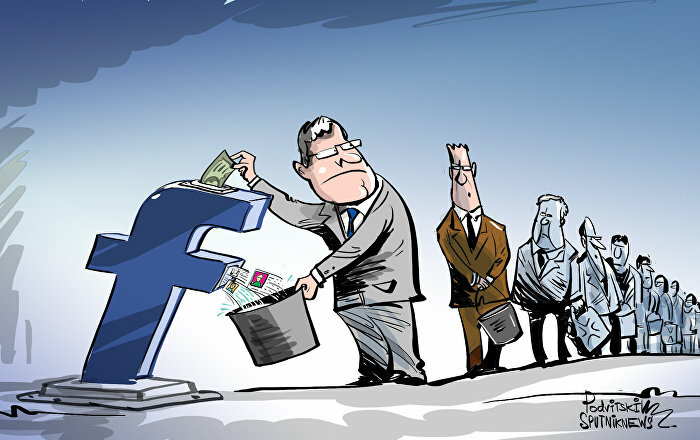 Sina Azodi, a US-based researcher specializing in Tehran's foreign policy, has shed light on the developments. The Iranian Foreign Ministry has responded to the call of the French President to hold talks on the country's ballistic missile program, firmly rejecting the idea and noting that it is solely defensive in nature. After threatening Pyongyang with a military option US President Donald Trump turned to Russia and China calling upon them to join his efforts to solve the North Korean dilemma, analysts told Sputnik, explaining what is behind the new US sanction policy targeting the world's financial institutions that work with North Korea. Amid the possibility of the US' unilateral withdrawal from the Iran nuclear deal, also known as JCPOA (Joint Comprehensive Plan of Actions), and new anti-Tehran sanctions, Iranian President Hassan Rouhani has outlined his position on the issue. Iranian Foreign Ministry said that its defense ballistic missile program is not negotiable and doesn't contradict the nuclear deal. Iran is determined to stand its ground, knowing that the US will only increase its pressure on a retreating opponent, Iranian political analyst Emad Abshenas told Sputnik, commenting on the demonstration of Tehran's new ballistic missile which took place after Donald Trump's rant against the Islamic Republic at the UN General Assembly. Washington is apparently mulling over regime change in Iran, political Darius Shahtahmasebi told Radio Sputnik, adding that the US has a long record of targeting geopolitically weak countries. The analyst explained that given Tehran's rich natural resources and influential allies, the US's new anti-Iran strategy is likely to fail. Russia slammed on Monday the United States for shifting responsibility for North Korea's missile tests on Moscow and Beijing, calling such attempts "untenable." 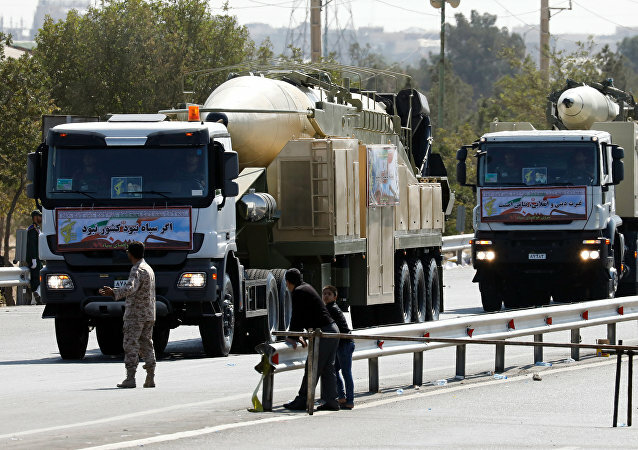 The US slapped new sanctions on Iran on Tuesday over its ballistic missile program in a clear break from the policy of the previous administration of President Barack Obama, which lifted a number longstanding sanctions on Tehran as part of the 2015 nuclear deal. An expert said this signals a return to the policy of confrontation with Iran. The United States on Tuesday announced new sanctions targeting Iran’s military and Revolutionary Guard Corps (IRGC) over the country’s ballistic missile program, along with Chinese and Turkish intermediaries, just hours after the State Department recertified Tehran’s compliance to the nuclear agreement. 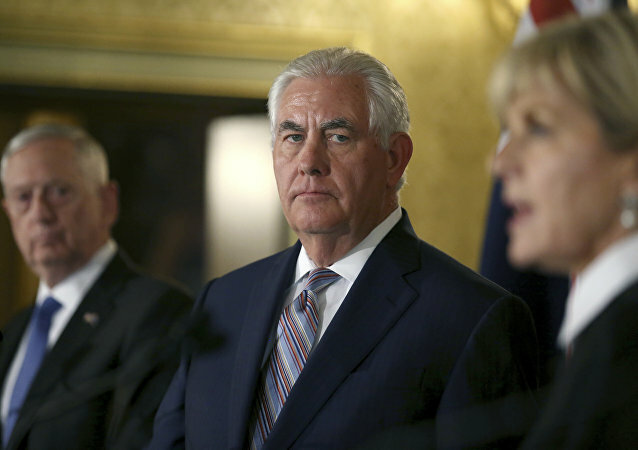 The US Treasury and State Departments together sanctioned 18 individuals and entities tied to the Iranian military and Tehran’s ballistic missile program, the Office of Foreign Assets Control (OFAC) said in a statement on Tuesday. The Trump administration is planning to impose new sanctions against Iran over Tehran’s ballistic missile program and alleged support for terrorism, US media reported on Monday. As North Korea reacts to sanctions and other threats from the US and the UN by increasing its nuclear weapons program, US Secretary of State Rex Tillerson, in an attempt to deflect responsibility, has again called on China to “step up” efforts to put a stop to Pyongyang’s militarization. 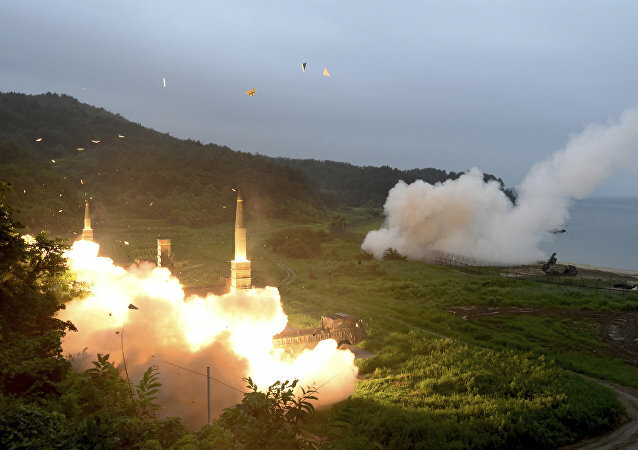 Seoul military sources asserted on Monday that Pyongyang’s most recent weapons test was a medium-range ballistic missile (MRBM), incapable of reaching the US island territory of Guam.